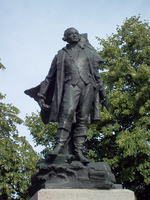 WOLFE, JAMES, army officer, commander of the British expedition that took Quebec in 1759; b. 2 Jan. 1727 (n.s.) at Westerham, England; d. 13 Sept. 1759 of wounds received in the battle of the Plains of Abraham. He was the son of Lieutenant-General Edward Wolfe, a respectable but not particularly distinguished officer, and Henrietta Thompson. 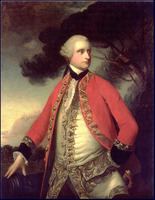 James Wolfe was educated in schools at Westerham and at Greenwich, to which the family moved in 1738; in 1740 he was prevented by illness from taking part as a volunteer in the expedition against Cartagena (Colombia), in which his father was a staff officer; and in 1741 he received his first military appointment, as second lieutenant in the 1st Regiment of Marines, of which Edward Wolfe was colonel. He never actually served with the marines, however, and in 1742 exchanged into the 12th Foot as an ensign and went with that regiment to Belgium. The following year, at the age of 16, he underwent his baptism of fire in Bavaria at the battle of Dettingen, and thereafter was promoted lieutenant. 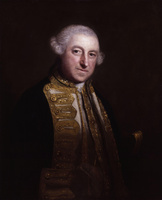 In 1744 he was appointed captain in the 4th Foot and in 1745 he returned to England with the army withdrawn to deal with Prince Charles Edward’s invasion. In January 1746 he was present at the British defeat at Falkirk, Scotland. 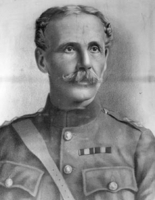 He was shortly afterwards made aide-de-camp to Lieutenant-General Henry Hawley. In this capacity he took part in the battle of Culloden (16 April 1746), and may or may not have refused to obey an order from William Augustus, Duke of Cumberland, to shoot a wounded Highlander. In January 1747 he returned to the continent, where the 4th Foot was serving, and on 2 July was wounded in the battle of Laffeldt (Belgium). Following a period on leave in England he was sent back to the Low Countries as a brigade major. When in 1748 the War of the Austrian Succession ended, he was appointed major in the 20th Foot, then stationed in Scotland. 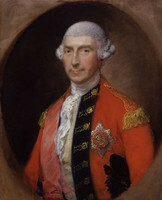 He became acting lieutenant-colonel and in practice commander of the regiment as a result of Edward Cornwallis*’ appointment to the governorship of Nova Scotia. 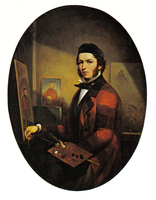 While stationed at Glasgow Wolfe studied Latin and mathematics. Most of the next few years he spent in Scotland, the regiment being part of the time engaged in road-building. 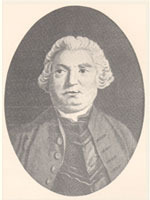 He was confirmed as lieutenant colonel in 1750. In 1752 he visited Ireland and that autumn went to Paris, where he stayed six months. Thereafter he rejoined the 20th Foot in Scotland and subsequently moved with it to the south of England. In January 1758 came further evidence that Wolfe was regarded as a particularly valuable soldier. 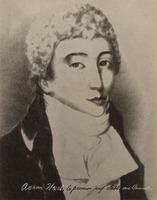 A comparatively junior officer, Colonel Jeffery Amherst*, was promoted major-general and placed in command of an expedition to proceed against Louisbourg, Île Royale (Cape Breton Island). 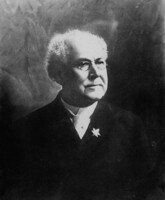 Wolfe was given local rank as “Brigadier in America” and made one of Amherst’s three brigade commanders, the others being Charles Lawrence, the governor of Nova Scotia, and Edward Whitmore, who was also already in the American theatre. In February he embarked in Admiral Edward Boscawen’s flagship Princess Amelia, which reached Halifax only on 9 May. Amherst had not yet arrived. While the force waited for him, training exercises were carried out, and Boscawen and the brigadiers made plans for the landing at Louisbourg. On 28 May the expedition sailed from Halifax without the military commander, but luckily met him just outside the harbour. The fleet and transports anchored in Gabarus Bay, close to Louisbourg, on 2 and 3 June. On the evening of the 2nd, Amherst with Lawrence and Wolfe “reconnoitred the shore as near as we could.” Amherst, dissenting from the plan made before his arrival, which provided for landings east of Louisbourg, had decided instead to land to the west of it. According to the author of the anonymous “Journal of the expedition against Louisburg” in Robert Monckton*’s papers – Monckton himself was not present – Wolfe “opposed this Attack in Council”; he nevertheless played a leading part in executing it. During the weeks of the siege Wolfe did not command a brigade in the usual sense. The force under him was an ad hoc grouping of élite troops, especially light infantry and grenadiers; Amherst at first used this force for a detached task, while Whitmore and Lawrence (who are scarcely mentioned in Amherst’s journal or other contemporary accounts) held the line at large. On 12 June Amherst found that the French had evacuated and destroyed the Grand or Royal battery on the north side of the harbour, and the Lighthouse battery on the east side of the entrance. He ordered Wolfe with (according to one version) 1,200 men of the line, four companies of grenadiers, three ranger companies, and some light infantry to move round the harbour to the Lighthouse Point, with a view to setting up batteries there to silence the Island battery in the harbour mouth and destroy the enemy ships in the harbour; the necessary guns were sent by sea. Wolfe’s batteries opened fire against the Island battery and the ships on the night of 19 June, and had silenced the battery by the evening of the 25th. Amherst then instructed Wolfe to come back around the harbour with his artillery (which was replaced in the Lighthouse batteries by naval guns) and to “try to destroy the shipping, and to advance towards the west-gate.” From this time Wolfe may be said to have commanded the left or northernmost attack against the fortress. A reference in the contemporaneously published version of Amherst’s journal for 3 July to Wolfe “making an advanced work on the right” has misled various writers; Amherst’s personal version edited by J. C. Webster* indicates that this was actually done by the engineer Major Patrick Mackellar*. By this time Wolfe’s new batteries were firing actively at the ships, and on 6 July the frigate Aréthuse, commanded by Jean Vauquelin*, which had greatly impeded the besiegers’ progress with her own fire, was forced to leave her position off the lagoon called the Barachois. Wolfe continued to push his batteries closer to the town defences and increasing damage was done to them as well as to the vessels. On 21 July one of his shot set a French ship on fire; the fire spread to two others and all three were destroyed. In the early morning of the 26th a British naval cutting-out force entered the harbour and captured the two remaining French ships. 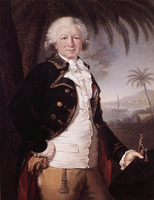 Plans for moving the British ships into the harbour and undertaking a joint assault by army and navy were forestalled when on the same day Governor Drucour [Boschenry] surrendered. Wolfe had undoubtedly shown himself throughout the siege to be an unusually efficient and active officer, and his merits were forcibly brought to the attention of the British government and people by the prompt publication of Amherst’s journal and other accounts. 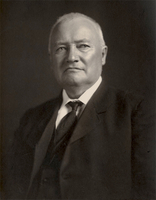 Wolfe wrote to his uncle, Major Walter Wolfe, “I am to act a greater part in this business than I wished or desired. The backwardness of some of the older officers has in some measure forced the Government to come down so low.” Service in America was not popular. 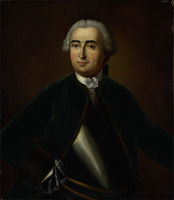 If a junior officer was to get the command, the golden opinions won by Wolfe at Louisbourg made him an obvious choice. 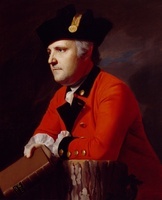 In appointing him, however, Pitt was making a considerable gamble; for the young general had never attempted to plan and conduct an independent campaign. And although at Quebec he would technically be under Amherst, he would in fact be an independent commander and Amherst would be unable to assist or advise him. He was given an excellent army, whose core consisted of ten battalions of British regular infantry, all already serving in America. They were below establishment, and Wolfe’s force amounted overall to only some 8,500 instead of the 12,000 for which Pitt had planned, but the quality was high. 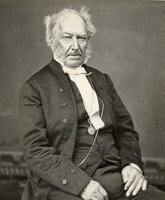 Wolfe moreover was apparently allowed to a large extent to choose his own officers, a point he had tried to insist upon in his dealings with Ligonier. 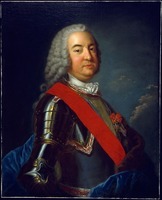 From Louisbourg he had written, “If his Majesty had thought proper to let Carleton come with us as engineer and Delaune and 2 or 3 more for the light Foot, it would have cut the matter much shorter.” In 1759 George II was prevailed upon to allow Guy Carleton* to accompany him as deputy quartermaster-general, and Captain William DeLaune of Wolfe’s 67th Foot was also in his army. In one important appointment, nevertheless, Wolfe did not get his way. The original intention was that his three brigadiers should be Monckton, Murray, and Ralph Burton, a selection with which he appears to have been happy. 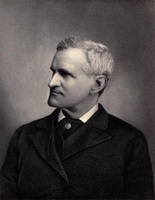 At a late stage, however, Burton, a special friend of Wolfe’s, was put aside in favour of the Hon. 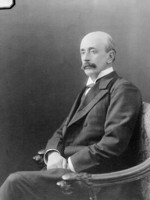 George Townshend*, the eldest son of the 3rd Viscount Townshend. The circumstances remain obscure, but the episode contained the seeds of later trouble. 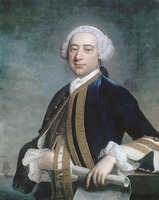 The naval commander was Vice-Admiral Charles Saunders*, an able, self-effacing officer, whose second-in-command was Rear-Admiral Philip Durell (for whom Wolfe seems to have acquired a dislike at Louisbourg), the third naval officer being Rear-Admiral Charles Holmes. The naval force numbered 49 sail, 22 being ships of 50 guns or more. 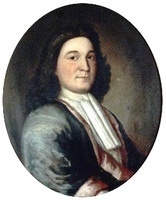 Although there is no evidence that Wolfe had studied Sir William Phips*’ campaign of 1690, his intention had evidently been to follow much the same plan used by Phips: to land and encamp on the north shore of the St Lawrence near Beauport, east of Quebec, cross the Saint-Charles River, and attack the city from its weak land side. He also proposed to establish posts on the south side of the St Lawrence opposite Quebec, and suggested in addition that it might be possible to “steal a detachment,” land it some miles above the town, and entrench there. His first reconnaissance showed him that the idea of landing on the Beauport shore was impracticable; the French had anticipated him. Montcalm, the French commander, had occupied and fortified that area, and the main French force was encamped there. The first of many tactical reassessments was thus forced upon Wolfe. The progress of Wolfe’s planning cannot be described in detail. What seems evident is that he had great difficulty in making up his mind, and that he frequently changed it. On 29 and 30 June he occupied Pointe-Lévy (Lauzon) and on 2 July ordered the construction of batteries opposite Quebec. Thereafter he considered landing a detachment above the city while also putting a brigade ashore just east of the Montmorency River, close to the left flank of the French fortified position, to draw the enemy’s attention in that direction. This scheme he shortly abandoned, and on 10 July the troops intended for the upper landing joined the brigade at Montmorency, where the main body of the army was now assembled. On the night of 12 July the guns on the south shore opened fire on Quebec. In the middle of the month Wolfe was actively considering an attack on the Beauport lines; but on the night of the 18th several British vessels got past the city into the upper river, and his attention was diverted to that sector. The 20th was a day of great activity, Wolfe contemplating an attack that night in the area of Saint-Michel, near Sillery. He cancelled it in the afternoon, probably because of visible French reactions to the movement of the ships. Within a few days he was again planning action on the Beauport side. On 31 July, for the first time, he attempted a major attack, just west of the Montmorency. His scheme – which all the brigadiers seem to have disliked – was to seize a small redoubt near the shore in the hope that Montcalm would come out of his entrenchments and attack in the open to recover it. As soon as the operation began it became evident that the redoubt was closer to the entrenchments than Wolfe had thought; it would not be tenable under their fire. On the spot he changed his plan to a frontal assault on the lofty entrenchments. This broke down in a bloody reverse, partly perhaps because the grenadiers who led the attack got out of hand, partly because a tremendous thunderstorm burst at the critical moment, and partly because Wolfe had attacked the French under the only circumstances in which the Canadian militia were formidable. He wisely called off the enterprise after losing over 200 men killed. Characteristically, he had exposed himself recklessly to the French fire, and he was with the rearguard of Murray’s and Townshend’s brigades as they retired to their camp east of the Montmorency, just before the tide made the ford impassable. The defeat on 31 July put an end for the moment to Wolfe’s feverish planning activity. 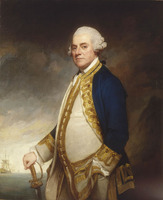 He sent Murray up the river with a detachment to get at the French ships if possible and to open communications with Amherst; Murray did not succeed in either object, but did a certain amount of damage and compelled Montcalm to dispatch a force under Colonel Bougainville* to watch the upper river. 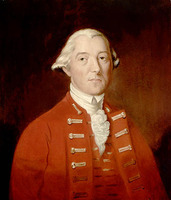 Wolfe also began to apply a policy of terror against the outlying parishes, in part it appears in reprisal for attacks on British detachments, in part with a view to bringing pressure on Montcalm “to try the Event of a Battle to prevent the Ravage.” Early in September a large party under Major George Scott (who had had a similar command at Louisbourg), including all six of the American ranger companies in the army, was sent to lay waste the south shore from Kamouraska to Pointe-Lévy. 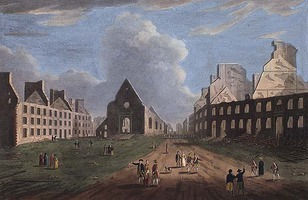 Scott later reported that he had burned 998 “good buildings.” Before the campaign was over the communities on both shores of the river below Quebec, and on the south shore for some distance above, had been largely destroyed, only churches being spared. Quebec itself had been laid in ruins by the bombardment from the Lévis heights. This policy of devastation had long been in Wolfe’s mind. He had written to Amherst during his voyage in the Neptune, “If . . . we find, that Quebec is not likely to fall into our hands (persevering however to the last moment), I propose to set the Town on fire with Shells, to destroy the Harvest, Houses, and Cattle, both above and below, to send off as many Canadians as possible to Europe, and to leave famine and desolation behind me; belle resolution, and tres chrétienne! but we must teach these scoundrels to make war in a more gentlemanlike manner.” If this letter is to be taken literally, Wolfe by September, at least, was seriously contemplating the likelihood that he was not going to take Quebec. About 19 August Wolfe became so ill that he was forced to take to his bed in his quarters in Montmorency. He was not able to resume his usual activities until nearly the end of the month. On or about 27 August (the document is not dated) he wrote a famous letter to the three brigadiers, asking them in the light of his indisposition to “consult together” and to “consider of the best method of attacking the Enemy.” He noted the absence of provisions in Quebec but did not mention the desirability of severing the French supply line. He thought that the army rather than the city should be attacked, and he suggested three possible methods. All were variants of the attack on the Beauport lines which had already failed. One proposed a combination of a frontal attack with a turning movement up the Montmorency, intended to strike the Beauport entrenchments in the rear; a ranger captain and a French deserter had reconnoitred the route. Wolfe’s admirers have put strained interpretations upon these projects, suggesting that the general did not really mean them seriously; but there is no evidence whatever that they were not the best plans that Wolfe (who, it must be remembered, was a sick man) was able to produce. The three brigadiers wrote an able and polite reply. They thought the chances of success in an attack on the Beauport side slight, and pointed out that even if it were successful Montcalm would still be able to withdraw across the Saint-Charles and provision Quebec from the ships and magazines above. 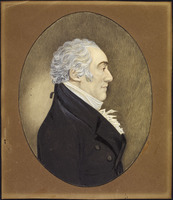 “We therefore are of Opinion that the most probable method of striking an effectual blow, is to bring the Troops [from Montmorency] to the South Shore, and to direct the Operations above the Town: When we establish ourselves on the North Shore, the French General must fight us on our own Terms; We shall be betwixt him and his provisions, and betwixt him and their Army opposing General Amherst.” This paper was supported by a detailed plan for the proposed movements. The brigadiers are known to have had prolonged consultations with Admiral Saunders while drafting these memoranda. For the first time, it appears, the basic strategic factors, had now been stated on paper. The brigadiers’ logic was really unanswerable, and Wolfe accepted it. Orders were given for the evacuation of the Montmorency camp. The British army, except for a small force on Île d’Orléans, was concentrated on the south shore, and on 5 and 6 September the main body embarked in the British ships above the town. It apparently would have landed on 9 September in the area on the north shore favoured by the brigadiers, between Saint-Augustin (now Saint-Augustin-de-Québec) and Pointe-aux-Trembles (Neuville), if the weather had not broken; heavy rain caused the operation to be cancelled. And on the 8th or the 9th, or perhaps both, Wolfe “went a reconoitering down the River.” For reasons that are still obscure – the decision may well have been based simply on his own observations – he decided to abandon the plan for a descent in the Pointe-aux-Trembles area (which had many advantages, including distance from the main French force and a low and accessible shore). He adopted a far riskier plan, a landing much nearer the town, at the Anse au Foulon (later also called Wolfe’s Cove) where a track led up the cliffs. For the oft-repeated story that this track had been pointed out by a French traitor no evidence has ever been adduced. That night the decisive operation was launched, the boats carrying the first “flight” of British troops dropping down with the tide from the ships off Cap-Rouge. Everything depended on achieving surprise, for in the face of serious opposition a landing at the Foulon would be quite impossible. But surprise was achieved. 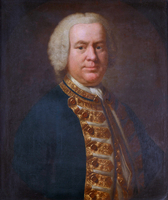 Montcalm’s attention was fixed on the Beauport shore, where the boats from the British ships lying in the Quebec Basin staged an effective feint. Bougainville, who was responsible for the whole area above Quebec, was at Cap-Rouge and apparently did not realize what was going on until too late. The French were expecting a provision convoy (though it had in fact been cancelled) and were too easily deceived into believing that the British boats were their own. Wolfe’s intention had apparently been to have a picked detachment of men under Captain DeLaune rush the path leading up the cliff; but the tide carried the boats beyond the point planned for the landing, and Lieutenant-Colonel William Howe, commanding Wolfe’s provisional light infantry battalion, led several companies of his unit straight up the cliff (an action which seems to have been improvised). They dislodged Louis Du Pont* Duchambon de Vergor’s party guarding the path, which offered only slight opposition. This was about four in the morning of 13 September. 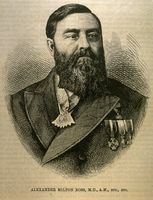 Wolfe, who had lately written several dispatches and letters reflecting a mood of black pessimism, seems to have found it hard to believe in his own good luck; there is evidence that he sent his adjutant-general, Major Isaac Barré, to stop the landing of the second flight of troops until he was sure that the French were actually not present in strength. Barré, finding the troops ready to land, refrained from delivering the order. Cooperation between the army and navy was admirable throughout the affair, which deserves to be regarded as a classic amphibious operation. From the time of the landing Wolfe made no mistakes. He chose his ground, formed his battle-line, and confidently awaited the French attack which was certain to come. 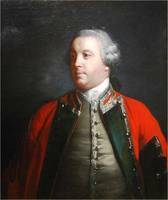 The mistakes on the Plains of Abraham were Montcalm’s. The French general had to attack to open his line of communications; but he should have waited for Bougainville, who was belatedly moving towards the scene of action. Instead he launched his mixed force of Canadians and Frenchmen against Wolfe’s solid line of regulars about ten in the morning. 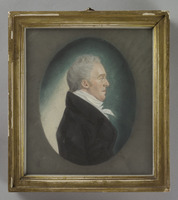 His senior artillery officer, Captain Fiacre-François Potot* de Montbeillard, records him as saying, “If we give him [the enemy] time to establish himself, we shall never be able to attack him with the sort of troops we have.” The British let the French come close and then with a succession of volleys blew them into ruin and retreat. Montcalm himself was mortally wounded. Wolfe had again exposed himself, perhaps actually courting death. He first suffered a wound in the hand or wrist, which he disregarded; then, as the British line began to move forward to pursue the French, the general, leading the right, was struck again in the body, many accounts say by two bullets. This injury was fatal, and he lived only a short time. The log of hms Lowestoft records that his body was brought on board at 11 a.m. Though the French army was routed, it was not destroyed. Had Wolfe lived, the victory might have been more complete. As it was, there was a period of uncertainty before Townshend took command (Monckton having been wounded), and most of the French force got away across the Saint-Charles to the Beauport camp. That night it marched around the British and withdrew towards Montreal leaving Quebec to surrender on 18 September. The final conquest of Canada required another year’s campaign. Wolfe’s body was taken to England accompanied by Captains Bell and DeLaune. He was buried in the family vault at Greenwich alongside his father, who had died in March 1759. James Wolfe was an excellent regimental officer, a splendidly brave fighting soldier, and so far as one can judge from his short career a competent battlefield commander. He has had many admirers and a great historical reputation. That reputation is not supported, however, by his performance before Quebec, the only occasion when he conducted a campaign as commander-in-chief. He was an ineffective planner, vacillating and uncertain; the campaign is a story of plans made only to be cast aside. He could not get on with his senior subordinates, and the fact that his diary is full of abuse of the navy suggests that he was not a good cooperator. His unpleasant policy of terror and devastation did little to advance his campaign. 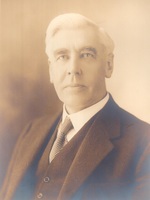 The one attack undertaken on Wolfe’s own motion (that at Montmorency on 31 July) was a costly failure. The final plan which succeeded was basically the brigadiers’; Wolfe’s contribution, the actual place of landing, merely added an element of unnecessary risk to the conception and placed the whole operation at the mercy of luck. As it turned out, his luck was extraordinarily good; and this, combined with the efficiency of the British army and navy and the marked inefficiency of the French, produced a famous victory which has remained identified with the name of Wolfe. [The happenings at Quebec in 1759 were, one might say without exaggeration, stranger than fiction. The final episode – the descent of the dark river, the climb up the cliff, the deaths of the two opposing leaders – had an irresistible appeal to the popular imagination. 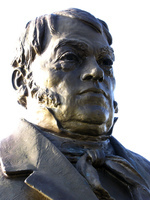 The result was that from the very beginning the history of the campaign was written in romantic terms, particularly the treatment of the two central figures, who have both been depicted as rather larger than life. Wolfe and Montcalm, neither of whom was really better than a second-rate commander, were raised to the level of legend. There are a good many biographies of Wolfe, all of them in varying degrees works of uncritical laudation. Not all will be mentioned here. 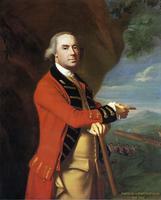 The earliest full-length treatment was Robert Wright, The life of Major-General James Wolfe . . . (London, 1864). It is still useful, and has served later biographers well. The most valuable of the biographies is Beckles Willson, The life and letters of James Wolfe . . . (London, 1909), simply for the documents it contains, even though their text is not always reliable. Of the books called forth by the bicentenary in 1959, Robin Reilly, The rest to fortune: the life of Major-General James Wolfe (London, 1960), uses a wider range of sources than some others, including Wolfe’s letters to Monckton which were long neglected, but the interpretation is the usual one. Wolfe: portraiture & genealogy (Westerham, Eng., 1959) contains J. F. Kerslake, “The likeness of Wolfe,” A. R. Wagner, “The genealogy of James Wolfe,” and W. W. Shaw-Zambra, “James Wolfe: a chronology.” A more critical assessment than the biographers’ was that of J. W. Fortescue, who wrote in his History of the British army (13v., London, New York, 1899–1930), II, “a brilliant success, however fortunate, is rightly held to cover all errors.” E. R. Adair’s important and striking paper, “The military reputation of Major-General James Wolfe,” CHA Report, 1936, 7–31, is somewhat overdone but is damaging to Wolfe. Its interpretation is in curious contrast with that of a book by Professor Adair’s late McGill colleague, W. T. Waugh, James Wolfe, man and soldier (Montreal, 1928). The writings of W. C. H. Wood, amateur soldier and amateur historian, have had more influence than they deserve; see particularly The fight for Canada (“definitive ed.,” London, 1905). Parkman, Montcalm and Wolfe, still has much value, though Parkman takes liberties with documents and is sometimes over-romantic. Stacey, Quebec, 1759, is an attempt at producing a version without preconceptions, based on the contemporary documents; see also the same author’s “Generals and generalship before Quebec, 1759–1760,” CHA Report, 1959, 1–15. J. M. Hitsman with C. C. J. Bond, “The assault landing at Louisbourg, 1758,” CHR, XXXV (1954), 314–30, is very useful. A monumental Canadian contribution is Doughty and Parmelee, Siege of Quebec. It is partly history, partly documentary collection, and is much more important in the latter than in the former respect; even some of the documents, however, are incomplete. Correspondence of William Pitt (Kimball) contains many fundamental documents in accurate texts; enclosures, often more important than the covering letters, are not included. Doughty’s edition of Knox, Historical journal, is valuable, as is another Champlain Society publication, Logs of the conquest (Wood). Important printed sources for the siege of Louisbourg are the “Journal of the expedition against Louisburg,” Northcliffe coll. ; Jeffery Amherst, Journal (Webster); and the contemporary published versions of the Amherst journal (e.g., Gentleman’s Magazine, 1758, pp.384–89). The contemporary plan of the siege by Samuel Holland*, reproduced in [William Amherst], Journal of William Amherst in America, 1758–1760, ed. J. C. Webster (Frome and London, Eng., 1927) is enlightening. Only a selection of manuscript sources can be listed here. Wolfe’s personal journal of the Quebec campaign came to light only in 1910. Three versions of it are known; all are in PAC as originals or photocopies. 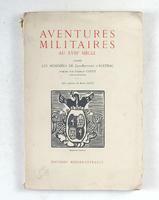 One is a transcript by Captain Thomas Bell, included in his own series of journals (PAC, MG 18, M3, 24). 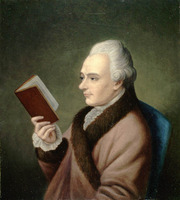 Unfortunately Wolfe destroyed his journal for the period after 16 Aug. 1759. The Bell journal is one of the items in the enormously valuable Northcliffe coll. (PAC, MG 18, M). Others include large groups of Townshend and Monckton papers; among the latter are many letters by Wolfe which are not in Willson. Also in the collection are various important miscellaneous items, including George II’s instructions to Wolfe for the Quebec expedition. There are letters from Wolfe in PRO, WO 34/46b, pt.ii. Wolfe’s dispatches from Quebec are in PRO, CO 5/51. Various important documents are in PRO 30/8, particularly bundles 33, 49, 50, and 98, vol.7. A significant anonymous narrative of the events at Quebec which internal evidence suggests may have been written by one of Wolfe’s aides-de-camp is in Public Record Office of Northern Ireland (Belfast), D.162/77. (See C. P. Stacey, “Quebec, 1759: some new documents,” CHR, XLVII (1966), 344–55, which also discusses some other papers on the campaign that have come to light in recent years.) A source of great value for the whole Quebec campaign is the large map signed by Major Patrick Mackellar, “Plan of the town of Quebec the capital of Canada . . . showing the principal encampments and works of the British army commanded by Major General Wolfe and those of the French army commanded by Lieut. 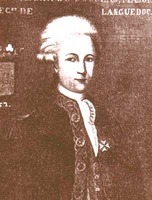 General the Marquis of Montcalm . . . ,” PAC, National Map coll. In general, it may be said that all the most vital known records of Wolfe’s Canadian campaigns are available in the PAC either as originals or as copies. In the interest of avoiding duplication, sources in French are omitted from this bibliographical note. They will be found listed in the note in the present volume appended to the biography of the Marquis de Montcalm. 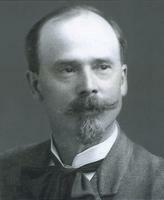 C. P. Stacey, “WOLFE, JAMES,” in Dictionary of Canadian Biography, vol. 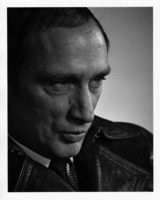 3, University of Toronto/Université Laval, 2003–, accessed April 20, 2019, http://www.biographi.ca/en/bio/wolfe_james_3E.html.